“Did you do this for us?” I asked, as we encountered a beautifully laid out table in the garden, all set for tea. 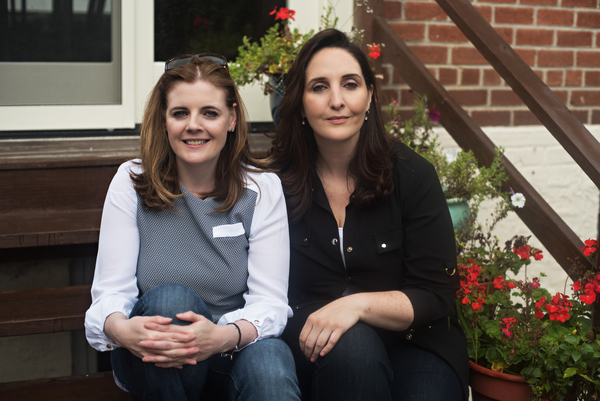 We – Alex, Juan (the photographer), and I – had driven deep into Queens to meet with the McCarthy sisters, film makeup extraordinaires and enthusiasts. The sisters laughed, and said they always had tea while discussing work. 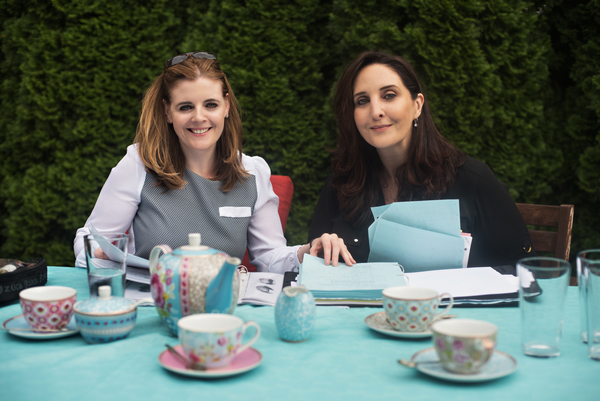 As we sat down at what felt like a mini tea party – with a touch of continuity lookbooks and makeup – for a chat, Louise and Joanna McCarthy seemed to meld into the scene, like it was their natural habitat. Louise and Joanna have come a long way since they started out in the business working on low-budget films. Joanna remembers an intense incident. “We were doing an outdoors on a road, cordoned off. Next thing this car shot down, two guys got out, there were guns all around. I was like, ‘oh this is interesting, is this part of the script?’ No, it’s totally not. “It was a good few years ago, but you get so caught up in what you’re doing that you kind of forget there are real things,” adds Louise. Louise knew she wanted to be a makeup artist since she was 16. She apprenticed and started working in television in the UK, eventually making her way across the pond because she wanted to work in film, and had found it easier to get such work in the US. Joanna then decided to follow in Louise’s footsteps, even though she’d just gotten a degree in fashion buying. “The fashion industry wasn’t creative enough for me. I was watching Louise and the projects she was on, and I thought that’s so much more interesting. 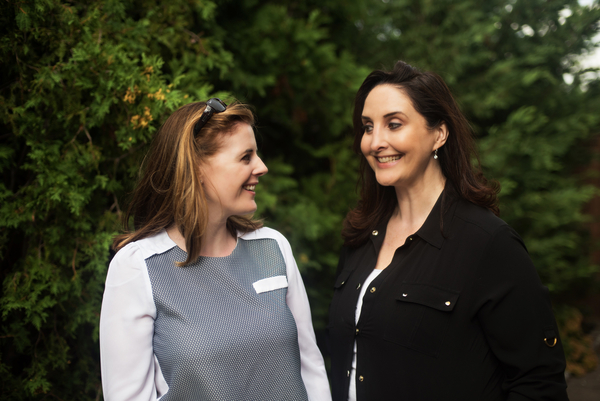 You’d only need to speak with Louise and Joanna to understand how they just work well together. But if there was any doubt about their chemistry, Joanna’s anecdote about fixing a little makeup emergency says it all. “The latex basically stuck where she smiled, and when she un-smiled, there was a hole. But we fixed it, and they never knew,” said Joanna, with a little smile. Speaking with the McCarthy sisters, you’d get completely caught up in their excitement talking about the work. It’s no wonder, given their love for the movies began way before they had decided on their careers. “She’d always looked glamorous getting dressed to go out. We’d be like ‘oh where are you going, what are you doing?’ And then we’d see her on TV,” Joanna added. Both sisters reminisced about that one time when their mom – instead of taking them to school – brought them to see a movie. We ended our time with the McCarthys in their living room, because it started pouring outside. We took our time to leave, partly because we didn’t feel like running out into the rain, but mostly because we really just wanted to have another cup of tea with Louise and Joanna.